With changes happening every day in social media marketing, it's important for brands to focus on some key essential elements their social strategy. Social media consumption habits are changing, new platforms are emerging, and new challenges arise. 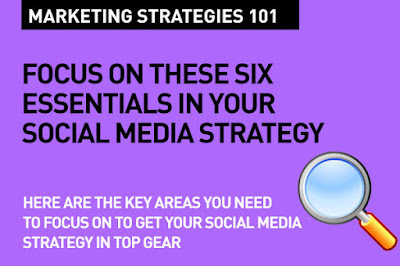 Here are six key elements you need to focus on for your brand's social strategy. It's it is essential that brands set up proper social media guidelines for all staff to follow. And make sure your agency follows these as well. Your brand's reputation is on the line – and without clear guidelines, both from a content and tone of voice point of view, it can get a bit difficult to manage. Also make sure your brand's logo is used, how the products are featured, and how they are written about follow easy to understand and maintain guidelines. This is a difficult one to balance, so it needs some clear focus. Particularly for global or regional brands, it's important to have a framework. While a typical brand might follow a global strategy – where consistency across all channels and geographies is consistent – another company may choose to speak to their audience in a colloquial or cultural context and a different tone of voice. For many companies, while that may be costly and tricky to manage, the decision to employ local, in-house teams often proves to be the most successful. But they must follow a framework that's defined. Who makes the decision on which social media channel your brand or business should be on? Should you just jump on every new platform that comes your way? Is your brand really relevant across all the channels you are on? It's not just about resources, it is about how your brand aligns with each channel. It is about how your brand fits in to the ecosystem of the channel or platform, and then ensuring that your content resonates well within those parameters. You cannot be everything for everybody. You'll need some kind of audience segmentation strategy in place. It's not advertising, social media is about having a conversation and engaging the audience consistently. Instead of using social as a one-way platform, the best way forward is to create content that encourages conversation, while maintaining its brand values and personality. A consistent posting schedule and consistent social-friendly tone of voice is crucial when it comes to keeping an audience engaged. Remember, it's all about relevant, value adding content. Content Marketing Strategy: What kind of content should you create? Social media is a conversation, and responding in time and making an effort with that response, and being honest, truthful and transparent is key. Many brands today fail to see how social is fast becoming a Customer Experience (Service) channel. Specially with customer complaints, or audience reactions to a post (or an ad) that did not resonate, or even offended them requires careful crafting and timing of a response. Make response and issues managing a focus area. Have guidelines in place for your social team or agency to follow. There is no definitive guide to social media post frequency. It depends – on your audience, your goals, and the results you get. This means that the only way to truly master it is to experiment, analyze your results and adjust accordingly. Yes, of course you can end up posting too much or too little to start with. But you'll learn quick. Each social platform has best practices for how often to posts, but there isn’t a specific number. You'll see brands tweeting four times a day and see a lot of success, while you'll see users that tweet four times per hour, and swear by it. In order to figure out what works best for your business, you will need to experiment. Your audience will often tell you how much is too much or too little by way of their reactions. Measure and repeat what works. The trick is in finding a balance – between engaging and informative vs annoying and over bearing. Read more on Social Media Frequency 2016: How often should you post. And that's the basics. That's Digital Marketing Strategies 101. Please share this post with your friends and colleagues today... And do comment if you feel you want to add to this. Nice post. 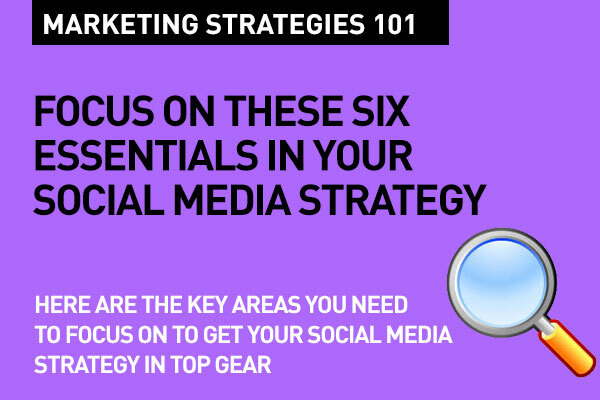 Useful basics of social media strategy that we all need to be reminded of, and sometimes, even after years of experience, we move away from these focus areas. Getting Global vs Local content strategy right is a very important point you mention – particularly for the sensitivities of the region we work in. It is always a balancing battle between the brand's need to get product and service info out there via social media and content that makes the user feel interested and engaged. Brands that manage to balance the two are the ones that are doing social media right. Really awesome blog. Your blog is really useful for me. Thanks for sharing this informative blog. I have really enjoyed reading your blog posts.Custom essay writing service is giving the dissertation draft writing guidelines for the students. Really , It is the Best social media marketing strategies . I will definitely follow them . Thanks for sharing .